The upcoming local elections on October 25 will not be held in the occupied territories, specifically 125 localities in Donetsk region, and 146 in Luhansk region. After a meeting on Friday, the Central Election Commission (CEC) considered the requests of the heads of Donetsk and Luhansk military-civilian administrations and took into the account the list of local council in which the local elections haven't been set. These are areas temporarily uncontrolled by the Ukrainian government. 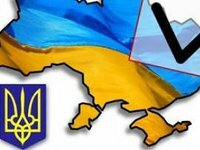 The local elections won't be held in Luhansk region in Antratsytivsky, Krasnodonsky, Lutuhinsky, Perevalsky, Popasniansky, Slavnoserbsky, Stanychno-Luhansky districts, and in the cities of Luhansk, Alchevsk, Antratsyt, Briank, Kirovske, Krasnodon, Krasny Luch, Pervomaiske, Rovenky, Sverdlovsk and Stakhanov. In Donetsk region, the local elections won’t be held in Amvrosiyivsky, Artemivsky, Volnovakhsky, Maryinsky, Novoazovsky, Starobeshevsky, Telmanovsky, Shaktarsky districts and the cities of Donetsk, Horlivka, Yenakiyeve, Zhdanivka, Kirovske, Makeyevke, Snizhne, Torez, Khartsyzsk, Shakhtarsk and Yasynuvata. According to the law, the CEC must consider the request of Donetsk and Luhansk military-civilian administrations and approve the lit of local councils in which local elections cannot be held on October 25.